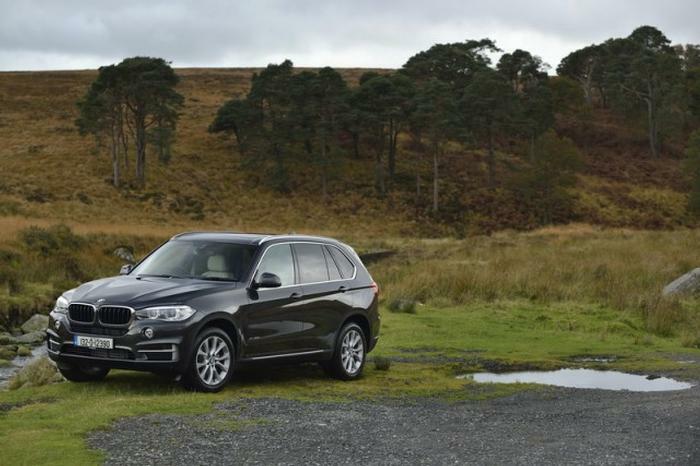 This is the Carzone.ie guide to buying a used BMW X5. The BMW X5 is the German company’s oldest SUV, launching in its original guise back in 1999. So popular was the X5 that it has spawned a current range of BMW SUVs that run from X1 to X7 and all the stations in-between, but while there has been diversification of the vehicle-type by BMW in the intervening years, the X5 continues as the big, strong, premium offering that suits families the best. A new fourth-generation model arrives for 2019, so now is the time to buy a good used example of the third-generation X5 (built from 2013 to 2018), as it offers modern equipment, an up-to-date dynamic experience and quality interior finishing, but at a substantially lower price than a new version. While the current trend is swinging consumer sentiment against diesel power, when the Mk3 X5 launched, diesel was THE fuel to have and so the vast majority of used examples in this country are powered by the stuff. BMW offered the X5 in Ireland with a 2.0-litre, four-cylinder unit rated at 218hp in the models badged ‘25d’, or a 3.0-litre straight-six unit as an alternative – this came with either one turbo and 258hp in the ‘30d’, or two turbos and 313hp in the ‘40d’. Almost all X5s were four-wheel drive, so that means their capacity/power badges above will be preceded by ‘xDrive’ – making the xDrive25d, xDrive30d and xDrive40d. However, the 25d could be had with just rear-wheel drive, indicated by sDrive25d badging. The third-gen X5 was based on the same chassis and mechanicals as its Mk2 predecessor and, as take-up of the manual option on the original Mk1 X5 was so low, the gearbox was dropped for the Mk2, which carried over into the Mk3 – meaning all models came with an eight-speed Steptronic auto as standard. Other options included the ability to have seven seats (adding two smaller chairs in a third row in the boot), making the X5 capable of taking on some of its seven-seat rivals, and trim lines were pretty simple: there was the base, luxury-oriented SE, and then the upmarket M Sport, which brought in enhanced looks inside and out, and some desirable extra equipment. M Sports are more common on the used market. Midway through the Mk3’s life, a plug-in hybrid model was launched to coincide with the X5’s facelift. Called the xDrive40e iPerformance, it teamed a 2.0-litre, four-cylinder, turbocharged petrol engine rated at 245hp with a 113hp electric motor, for a peak system output of 313hp. That allowed the big SUV to do 0-100km/h in 6.8 seconds and a 210km/h top speed, but it could also return figures of 85.6mpg (3.3 litres/100km) combined economy with official CO2 emissions as low as 77g/km. It’s this xDrive40e that is the sole (part-)petrol-powered representative of the Mk3 X5 here. The xDrive40e is extremely rare and relatively expensive, so you’re best looking at one of the plentiful diesels for now. While the 25d looks like a good option, in reality a 2.0-litre engine in a large SUV like this is a little underpowered, so the best all-rounder is the xDrive30d. As it was available from launch in 2013, it’s easy to find earlier examples for the lowest used prices, giving you an upmarket, premium SUV for less than €30,000. Although the new X5 Mk4 is on the way, the Mk3 still feels like a strong challenger in the large, premium SUV class. And that means it makes terrific sense as a second-hand buy now, because the Mk4 will depress used values and make it easier for savvy punters to pick up a relative bargain. Early 2013 and 2014 X5 Mk3s will be cheapest of all, and yet (provided they’ve been looked after) they will feel special and grand to own and drive.